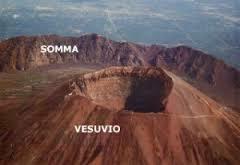 The volcanologist Giuseppe Mastrolorenzo, one of the greatest scholars of Vesuvius and its activity, has warned more than once: “We are on a time bomb that will not leave a chance.” But why exactly Vesuvius and the possibility of its next eruption is a mortal danger to the people living on its slopes? 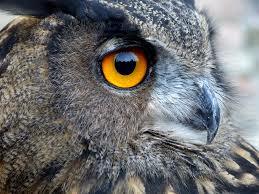 We ‘just a risk to a natural event, or we have made things worse? And then, on the one hand there is the Vesuvius, on the other hand there are the Campi Flegrei. The area potentially closer to an eruption is incredibly lacking a contingency plan and evacuation. 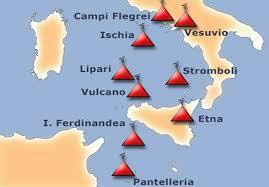 But what would happen in Naples in case of eruption of Vesuvius? What would be the effects on people and things? Among widespread illegal, dangerous roads and streets under sequestration, evacuate the villages of the “red zone” would be a mission in some cases impossible. A photo impressive, disturbing. 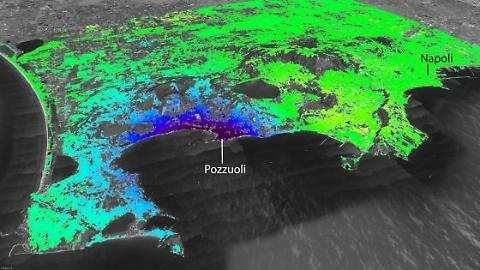 What you see is the deformation of magma beneath the Campi Flegrei and the area of Pozzuoli, in Campania, view from the satellites. At a depth of only 3 kilometers there is created a real lake of 2-3 km in radius, with the earth raised approximately 10 cm in the last 3 years. All this because the magma is pushing to rise to the surface. Not surprisingly, in 10 years the land has risen by 30 cm and the Civil Protection raised its alert level on the area from green to yellow (caution). The blue color in the coastal area of Pozzuoli indicates the maximum proximity of magma to the surface. Captain Romano Pisciotti: news to watch ….!! !